As a former foolish wife, it took me some great time (and still taking) to master the below listed Commandments of a God-Fearing Wife. Impossible? No. Doable? Yessssssss! ALL things are possible with God, prayer, and daily action! 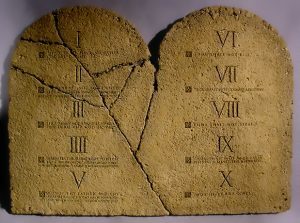 I am by no means the “bible” of how to have a successful marriage, but I have bumped my head enough and these commandments that I have developed are helping me be a God-fearing wife. Thou shall cover DAILY your husband with prayer! (Did you know that it is power in prayer? And there definitely power in a PRAYING wife! Prayer does not change some things; it changes EVERYTHING! Try these simple but profound things and WATCH God move in your life, your husbands’ life, and in your marriage!